It is already a fact that social media are engaged in research activities. Social media may make the object of research studies or an important data source. This chapter addresses issues related to social media research in media and communication studies. The pursued objective is to capture how researchers consider and analyze social media through scientific methods, in their work with academic purposes, in order to present the discussed theories. 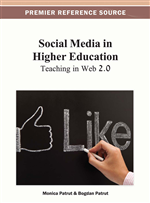 The ideas addressed by this chapter are case studies arising from the articles in the academic publications, topics related to social media and media and communication fields, outputs of researches, and appropriate methods for studying social media. The conclusions of this chapter show that social media research in media and communication studies, theories, and methods must be transformed or must be used more appropriate to social media. New and social media are faced with other practices and types of communication related to users’ participation and social actions and are based on network studies. All over-used concept of “social media” is very often differently or partially understood and in many situations addressed inappropriately. There are a lot of definitions that fit to social media. For instance, Cohen (2011) collected 30 definitions for social media from professionals in marketing and public relations field. But in a very simple way, social media is “the term commonly referring to blogs and social network sites online” (Lariscy et al. 2009). Social media are also defined as “forms of electronic communication through which users create online communities to share information, ideas, personal messages, and other content” (Merriam-Webster dictionary). But, the definition for “social media” continually evolves and develops. Thus, Kaplan and Haenlein (2010) tried to give a more clear and comprehensive understanding of the concept of social media. Their definition of “social media” is related to Web 2.0 and user-generated content (UGC), two concepts that are frequently named in conjunction with it. Their definition says that “social media is a group of Internet-based applications that build on the ideological and technological foundations of Web 2.0, and that allow the creation and exchange of user generated content” (Kaplan and Haenlein, 2010, p. 61). The same authors provide various types of social media that are discovered in a classification made on two dimensions: social presence and media richness – with the first dimension being the self-presentation and self-disclosure of the second dimension. Following these dimensions, Kaplan and Haenlein (2010, p. 62) identified six types of social media applications, such as: “collaborative projects (e.g. wikis or social bookmarking applications - Delicious), blogs, content communities (e.g. Youtube, Flickr, or Slideshare), social network sites - SNS (e.g. Facebook, Myspace, or LinkedIn), virtual games (e.g.World of WarCraft) and virtual social worlds (e.g. Second Life)”. The same groups and exemplifications of social media are also provided by Rheingold (2008). These six types of social media applications are frequently analyzed in academic research and are also used in the academic environment for learning process. The stress of this paper is devoted to aspects found in the academic research. One regarding the researching types of social media applications (e.g. Twitter, Facebook, blogs, SNS in media and communication) as well as the specific activities in social media (engagement, participation, bookmarking, aggregation, etc.) for media and communication interest. One regarding the methodologies, and methods used for social media research in media and communication studies. One regarding the theories and models used for social media research in media and communication studies. Researches related to interpersonal and organizational communication, or related to impact of new technologies in communication are permanent interest for companies who search new ways to engage with the customers. Political and intercultural communication, economics of communication have more interest for research in academic or professional environment. Thus, researchers present the challenges released by Web 2.0 and analyze different forms of convergence and new types of products, more attractive for users which are both media consumers and media producers. In this context, social media have an important role in media and communication research. The purpose of this paper is to create a synthesis of the ongoing work of media scholars and professionals about theories and frameworks of social media research used in communication and media studies. The questions that we must answer in this paper are: “What subjects are related to social media and communication studies?” and “How are they researched (theories, and methods)?”. This chapter considers the theories and research methods of social media for media and communication studies and presents the research market interested in social media.